InNote (Android) - A sweet Moleskine-like note taker ~ Android Forever! Developer Quote: "InNote is a handwriting note taker featuring a natural digital ink, a full set of tools and a beautiful UI. 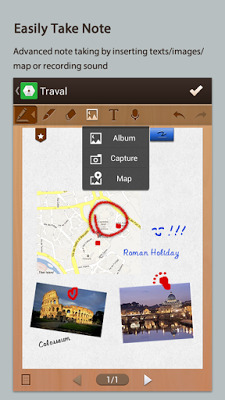 It is the easiest finger writing app for taking notes, writing memos and making annotations. 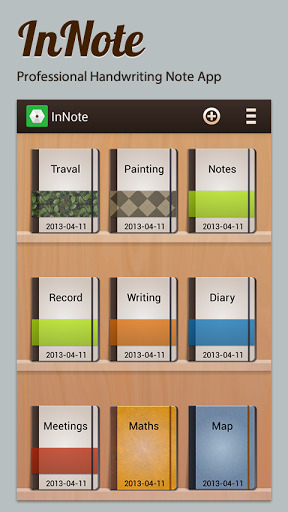 When you are at brainstorms, meetings or need a shopping list and to do list, InNote is here to help." For some reason I like my note-taking apps to look and feel (as much as that's even possible in the digital realm) of a nice, physical notebook. Maybe this need hearkens back to my Day-Timer days. This app feeds my need and may feed yours too! • A full set of ink pens, ballpoint pen and highlighters providing lifelike handwriting experience. • A color palette of millions of colors to customize your pen colors.